The RBI decided to hold interest rates and its monetary policy stance. Here are the key takeaways. Falling oil and food prices guided the RBI in maintaining a status quo as far as the policy rates are concerned. But at the same time, the policy also points out that the central bank has been busy managing liquidity, thanks mainly to the shakeout caused by the IL&FS crisis. Maintaining growth forecast while at the same time informing the markets that the central bank will not shy away from buying bonds has restored confidence in the bond markets. Bond markets reacted positively to the development despite the fact that RBI has said that SLR will be reduced on a quarterly basis by 25 basis points. Stock markets, however, fell in line with global markets but Bank Nifty after an initial drop rebounded. - New interest rate pricing mechanism: In a move to increase transparency, RBI has asked lenders to link all new floating rate loans to external benchmarks. The biggest benefit of this will be to the consumer as monetary transmission will be faster. The move is, however, negative for banks who have been absorbing the interest rate cuts by the central bank in order to cushion their bottomline to manage their non-performing assets. - Low inflation scenario: Retail inflation, as measured by CPI declined from 3.7 percent in September to 3.3 percent in October. Food prices moving into deflation coupled with low oil prices helped lower in keeping inflation low. Low food and milk prices will not augur well for the government going into the election and facing farmer distress. - Slowing GDP: Gross domestic product (GDP) growth slowed down to 7.1 percent in the second quarter of the current fiscal after four consecutive quarters of acceleration. This was mainly on account of slowing private consumption and a sharp drop in net exports. On the supply side, the growth of gross value added (GVA) at basic prices decelerated to 6.9 percent during the same period reflecting moderation in agricultural and industrial activities. - Slowing rural growth: More worrying for the government and the economy is the rural growth which has decelerated. Subdued growth in kharif output along with depressed prices of agricultural commodities and sluggish growth in rural wages are all signs of distress in the rural economy. Negative tractor sales growth and two-wheeler sales are both highlighting the stress. - Manufacturing slows: Growth in manufacturing decelerated due to lower profitability of manufacturing firms on account of a rise in input costs. Mining and quarrying turned negative, caused by a contraction in output of crude oil and natural gas. However, growth in electricity, gas, water supply, and other utility services strengthened and services sector growth remained unchanged. - Slowing global economy: Low net exports growth has a lot to do with slowing global growth. Global economic activity has shown increasing signs of weakness on rising trade tensions. Economic activity appears to be slowing in the US while the Euro area growth lost pace in the third quarter itself. The Japanese economy has contracted in the third quarter and economic activity decelerated in major emerging market economies. In China, growth slowed down on weak domestic demand amidst trade tensions and the possible cooling of the housing market. - Commodities melting in the heat: Slower global growth has rubbed off on commodity prices. Crude oil prices have declined sharply, base metal prices have continued to decline on selling pressure following weak demand from major economies. But the gold price has risen mainly on account of funds looking for a safe parking place. However, a strong dollar may stem the rise. - Managing Liquidity: The RBI has to be credited for managing liquidity in the economy and restoring confidence after the IL&FS fiasco. In a post-policy conference the RBI team pointed out that it may expand the pace of bond purchases. 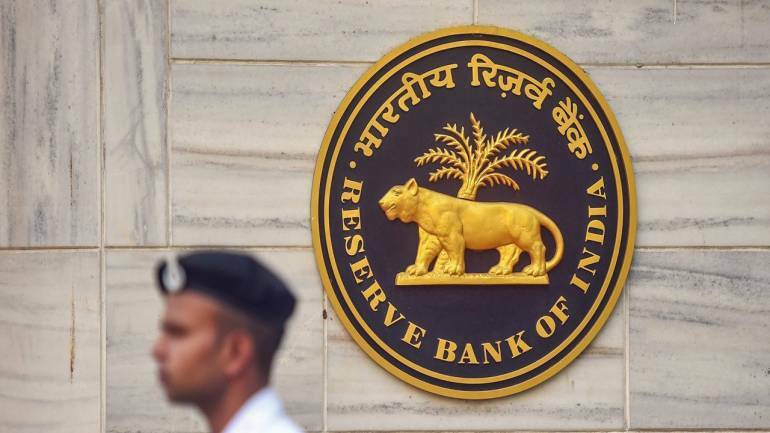 Deputy Governor Viral Acharya said that RBI intends to conduct additional long-term repo operations to meet transient liquidity demand arising from the third tranche of advance tax outgo. On the liquidity situation with NBFCs, Acharya said that it is much better as compared to the past and there is no systemic risk and the measures adopted earlier will further ease the liquidity situation. - Inflation outlook: The central bank continues to maintain a hawkish stance on inflation -- food prices may increase as Rabi crop sowing is below long-term normal by 8.3 percent. Assuming a normal monsoon for 2019, RBI has projected inflation at 2.7-3.2 percent in the second half of this fiscal. RBI has given a number of reasons on why inflation can surprise on the upside. - GDP Growth outlook: Markets would welcome the stance taken by the RBI in maintaining its growth forecast against the expectation of lowering of GDP number. RBI in its statement has said that industrial activity has been improving in Q3. The growth in core industries recovered in October on the back of double-digit expansion in coal, cement, and electricity. The purchasing managers’ index (PMI) for manufacturing touched an eleven-month high of 54.0 in November, supported by an expansion in output, and domestic and export orders. Growth in passenger vehicles sales turned marginally positive in October, after three consecutive months of negative growth coincident with changes in mandatory long-term third-party insurance requirements and a sharp increase in fuel prices. Railway freight traffic improved markedly in October to touch a five-year high growth while domestic air passenger traffic sustained robust growth.